After collecting my Secrets of the Empire and trillium bars, I finally got to proceed with the legendary quests. I headed to the Thunderforge for my solo scenario, which was actually a bit more challenging than usual. As a healer, I got through it, but Mooglegem struggled a bit as DPS. 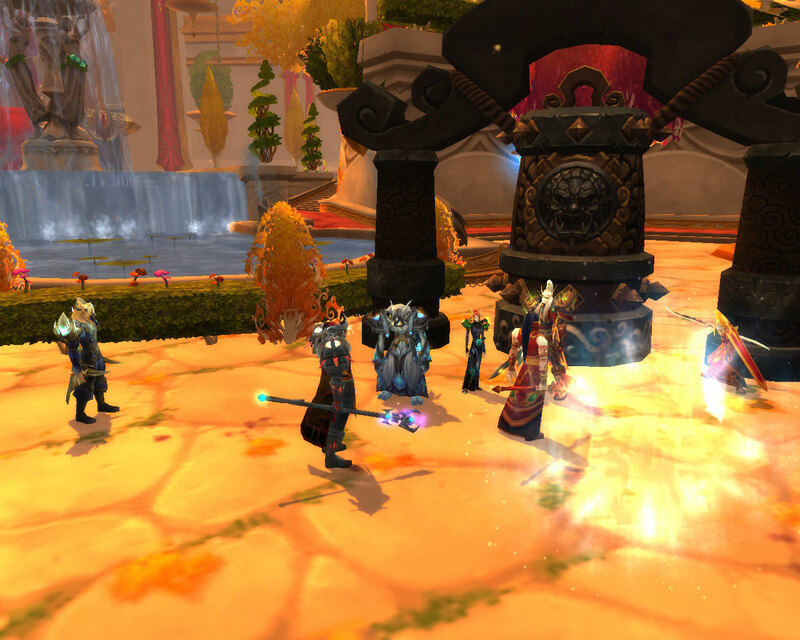 Afterward, Wrathion was nice enough to give us our legendary meta gems! The Courageous Primal Diamond is sure sweet; I hope I actually get to use it soon! I don’t want to put it in my helm when I’m likely to upgrade it soon. There are two more quests in the 5.2 chain before completing chapter three. Why put the legendary reward in the middle of the chain? That seems very odd to me, but I guess it didn’t really matter because people will continue into chapter four regardless. 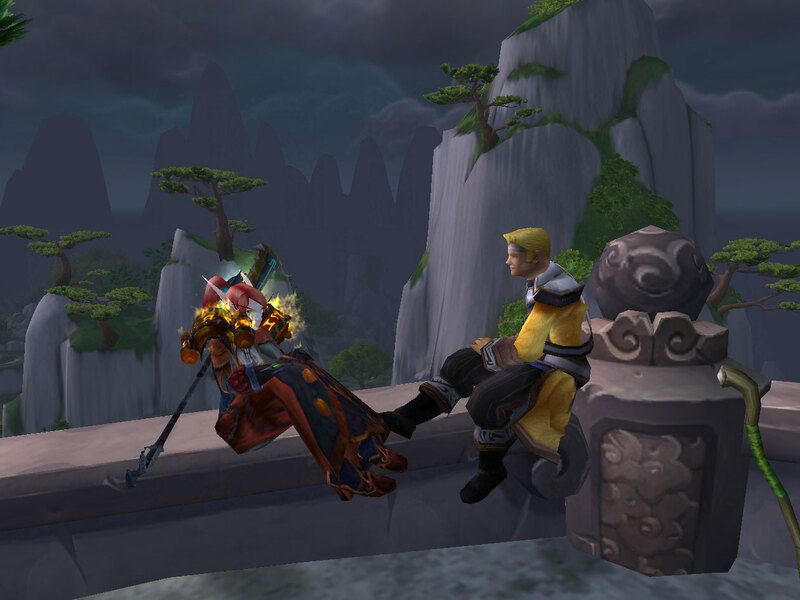 During the interaction to receive the reward, Anduin Wrynn sits on the wall. Mooglegem decided to sit with him and have a nice chat. He’s a great character. 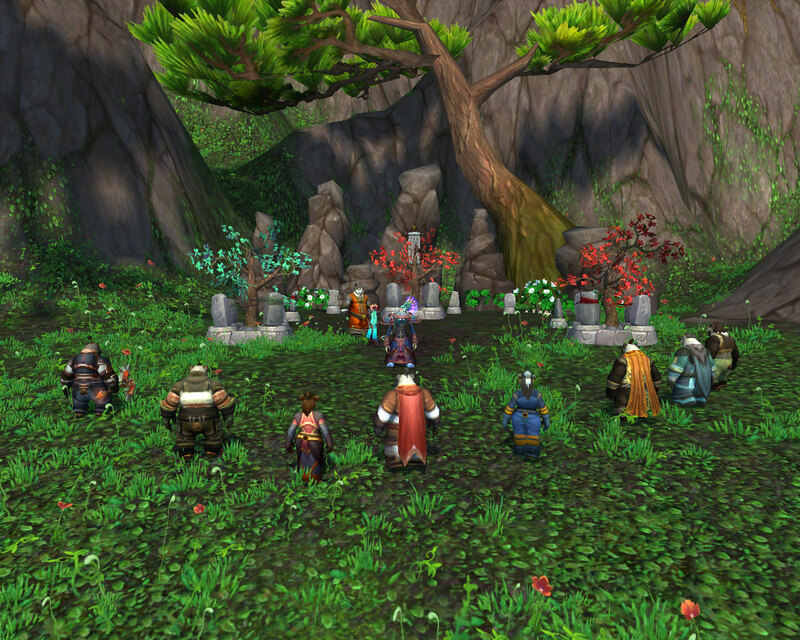 I wonder if the Alliance get to see much more of him than we Horde do. If you haven’t done the scenario and are curious, you can see it here! 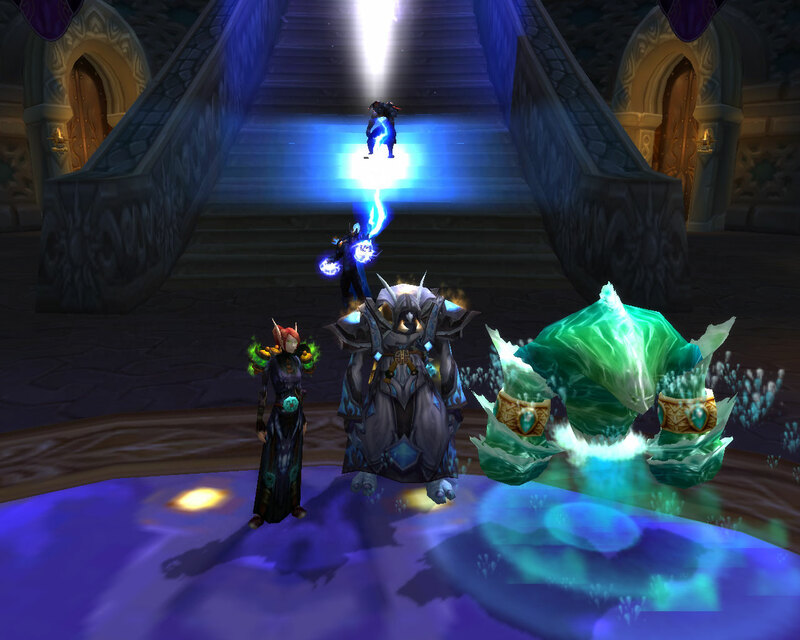 Know Your Lore: The Lessons of the Lich King, Matthew Rossi, WoW Insider, 4/30/13. What did the Lich King teach us? What did he teach Garrosh? 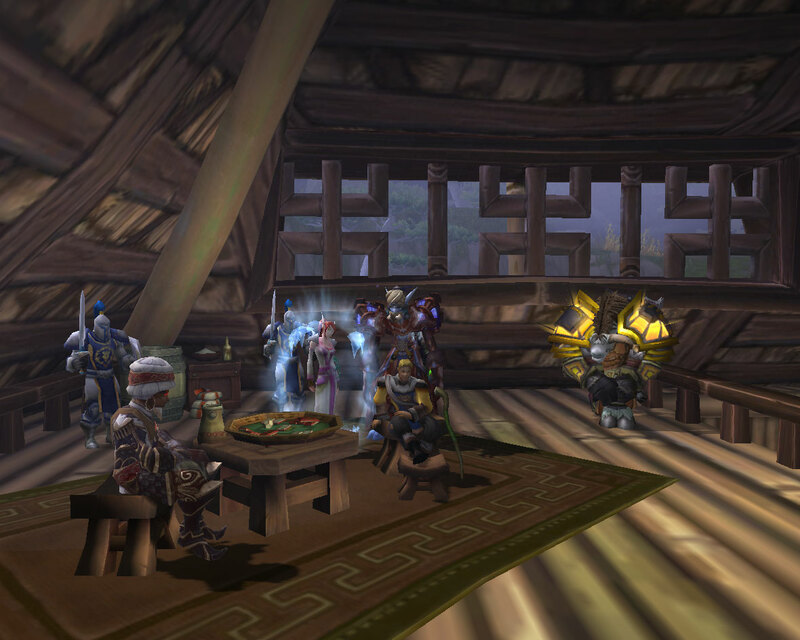 Know Your Lore, Tinfoil Hat Edition: The curious neutrality of Anduin Wrynn, Anne Stickney, WoW Insider, 4/28/13. Just why is Anduin so neutral? Could Onyxia have something to do with it? 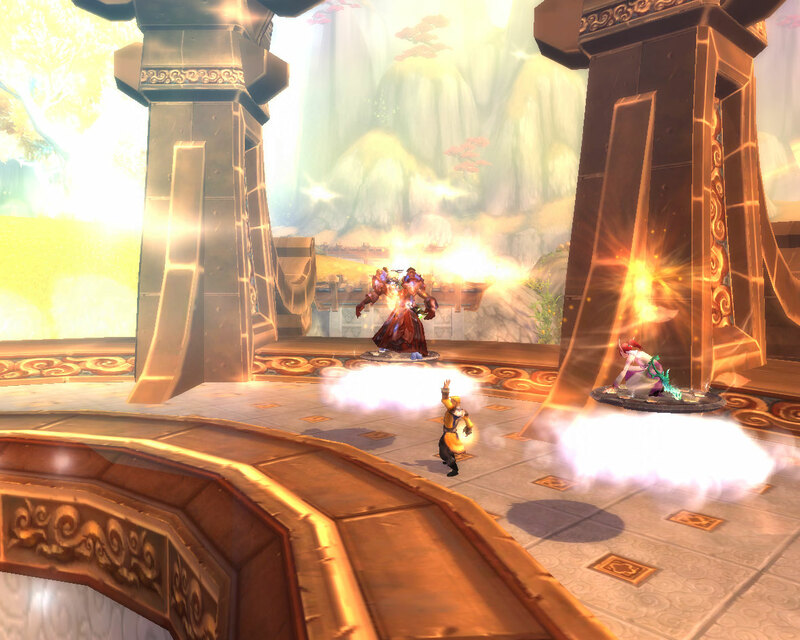 Developer Q&A transcript, Alex Ziebart, WoW Insider, 4/25/13. 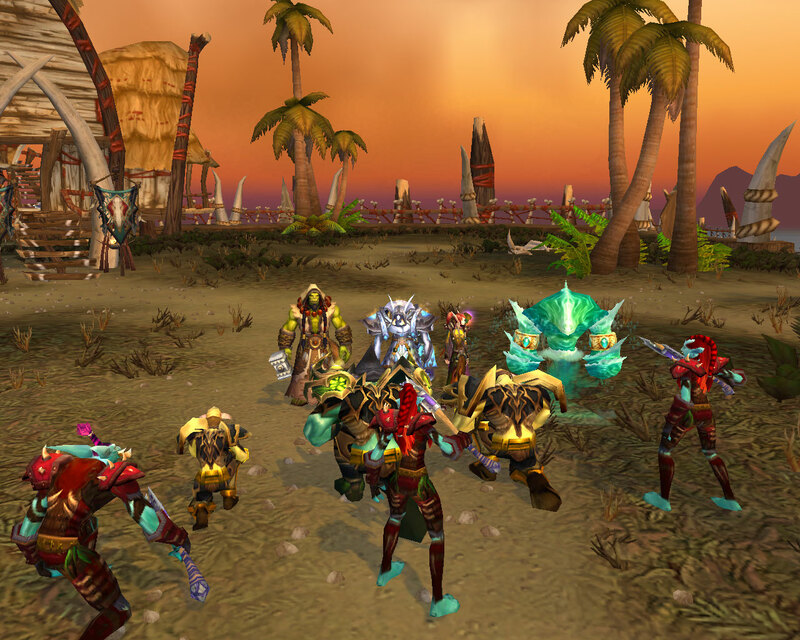 Editorial: Gear… GONE!, Adam Holisky, WoW Insider, 4/30/13. Adam thinks gear should be removed. Most players would 100% reject this. I think it’s an interesting idea, but it wouldn’t fully work. While I don’t want to stress over pieces of gear (yet I do) and I just want to raid, obtaining gear feels satisfying. Gearing & Guilds .. A New Alternative, Jods, Jods’ Blog, 1/5/13. Some interesting ideas to gearing. That date seems wrong to me though! 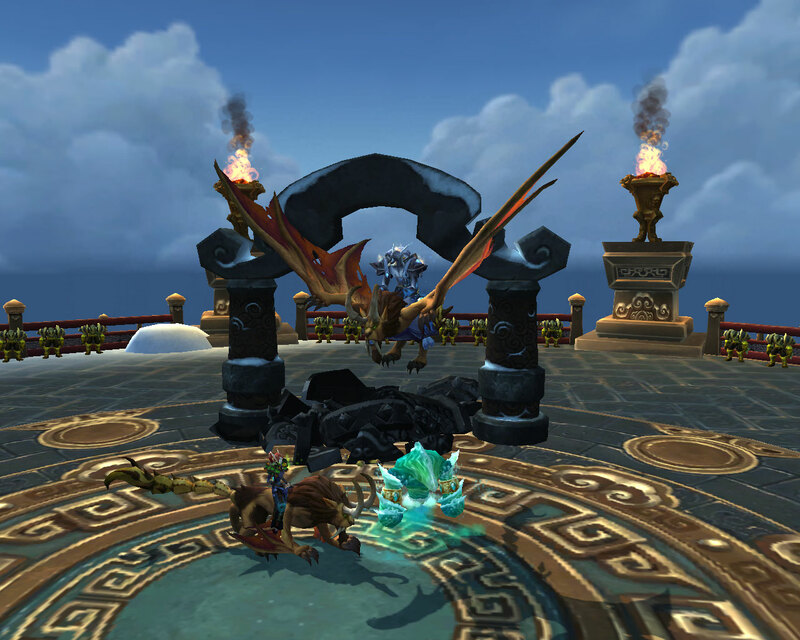 Our favorite ways to die in World of Warcraft, Elizabeth Harper, WoW Insider, 4/30/13. 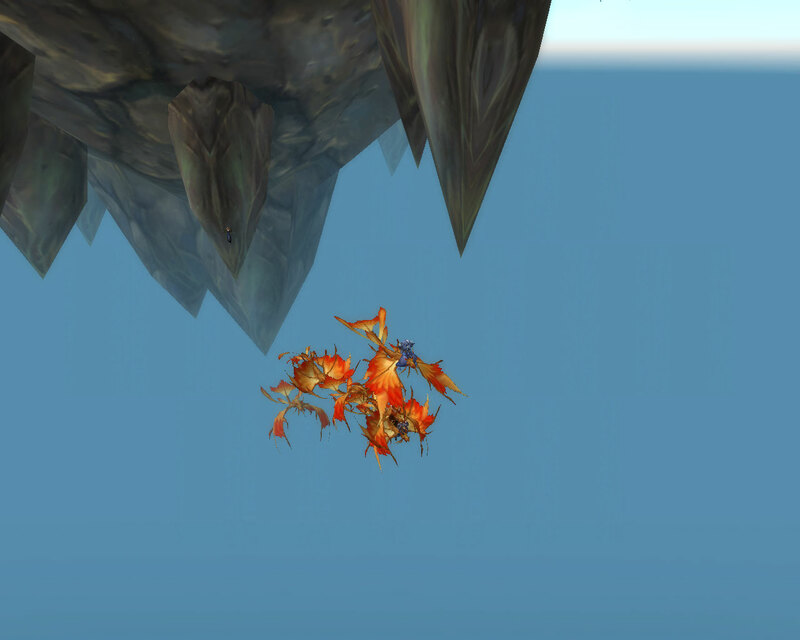 There are a lot of great ways to die in WoW. 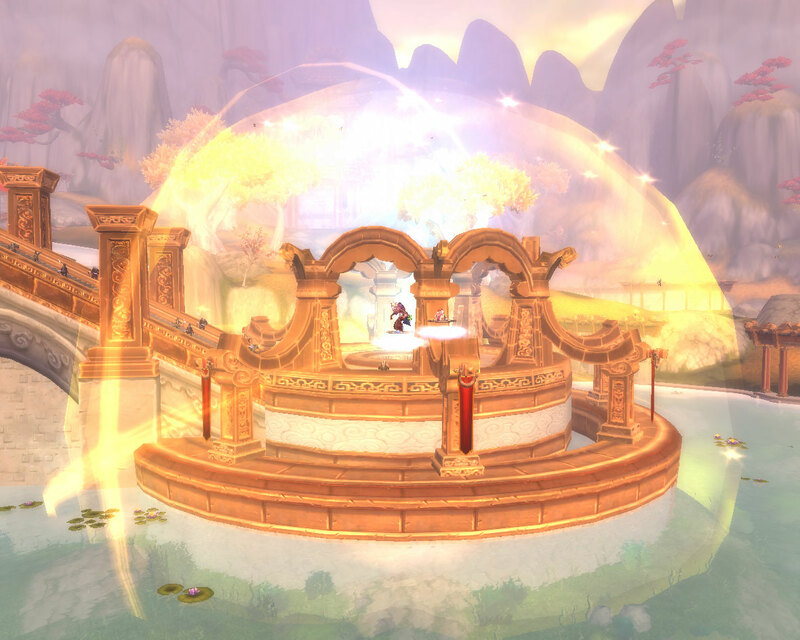 Note: There will be spoilers for the Golden Lotus reputation and quests in this post. 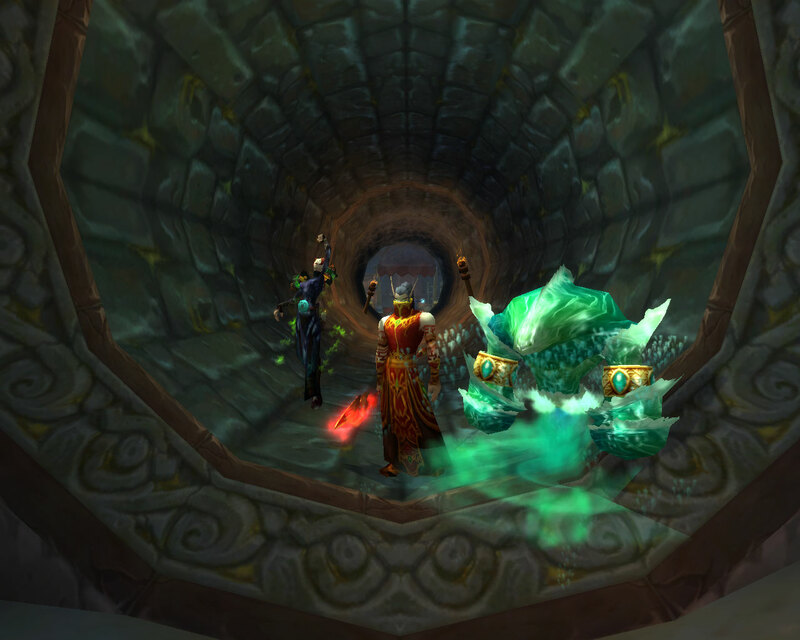 Recently Mooglegem and I had successfully retrieved three powerful artifacts once belonging to the mogu ruler, the Thunder King, and locked them away with the Golden Lotus standing guard. 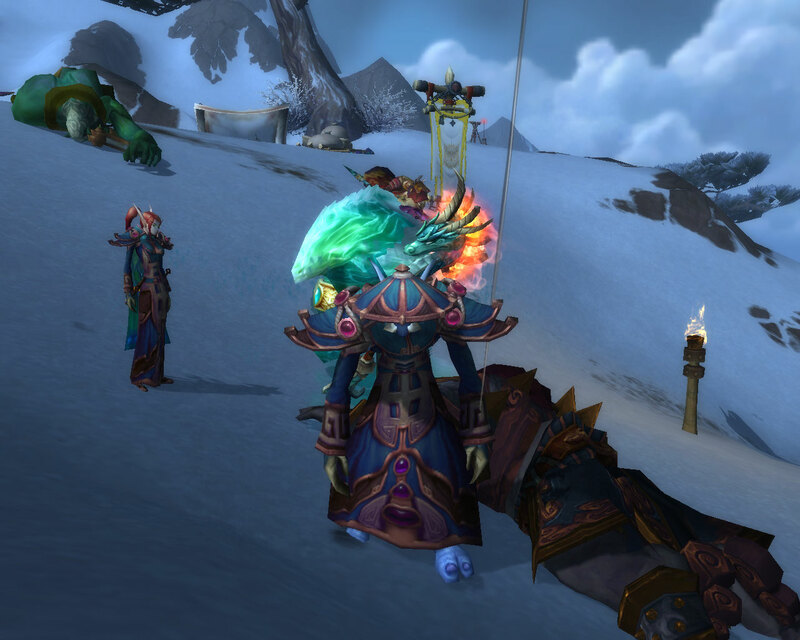 This past week the mogu hit the Vale very hard, and when we went to check on the artifacts, the guards were all dead and the artifacts were missing! 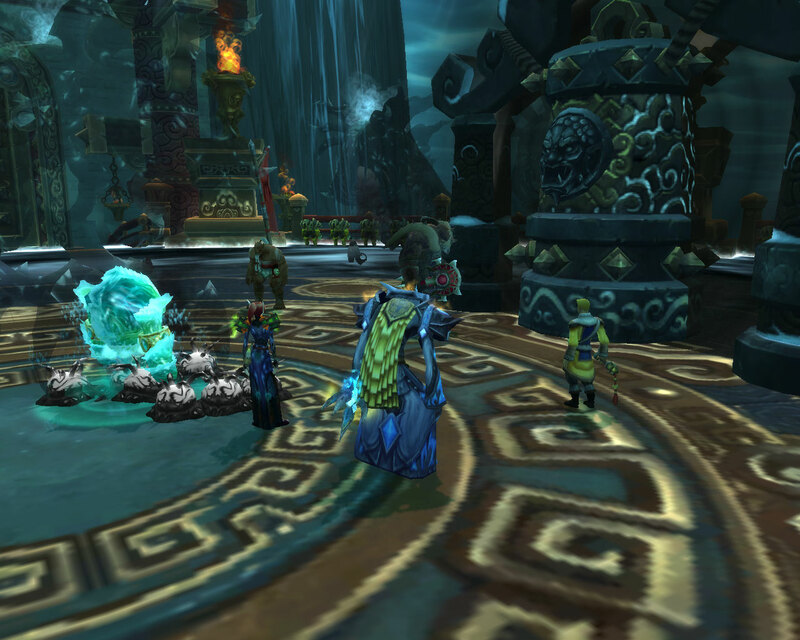 We began cleaning up the Vale by killing the mogu we encountered. 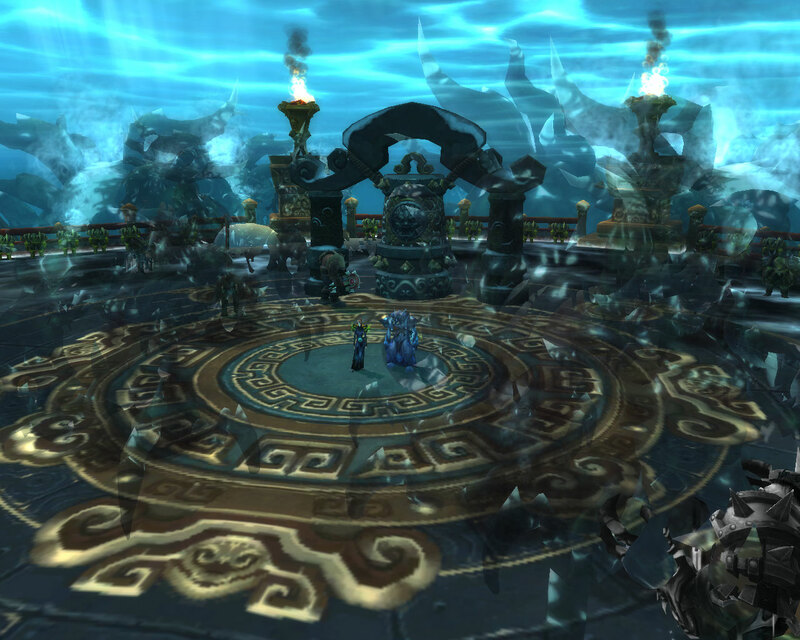 When we approached Mogu’shan Palace, I saw a huge barrier of some sort. I joked that there must be a powerful discipline priest near because it looked like my Power: Word Barrier. 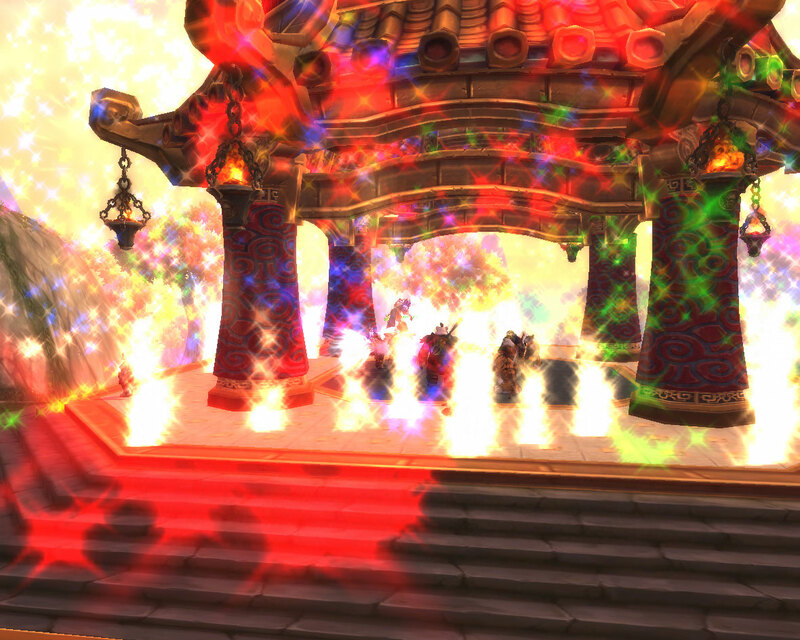 Of course, what discipline priest would be strong enough to do this? Apparently I forgot that there was one strong enough! We ran into Anduin Wrynn keeping the barrier stable. You know your in good hands when you encounter the Prince of Stormwind. 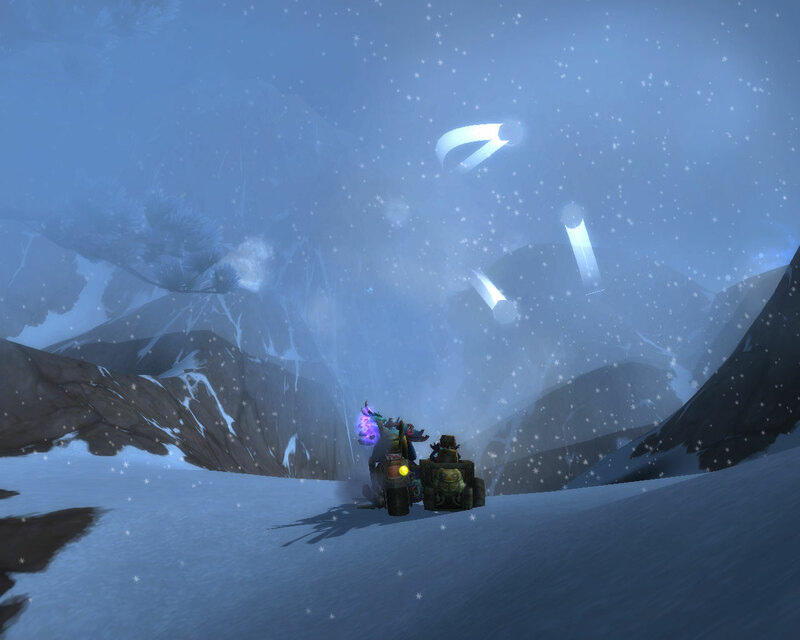 Kun-Lai Summit was a beautiful zone, and as with the rest of Mists of Pandaria, I enjoyed it thoroughly. This is a scene from later in the zone, but I thought it looked great and wanted to start with it. It wasn’t all green though! Here’s a picture from the summit in which you can see the snow storm. Very pretty! 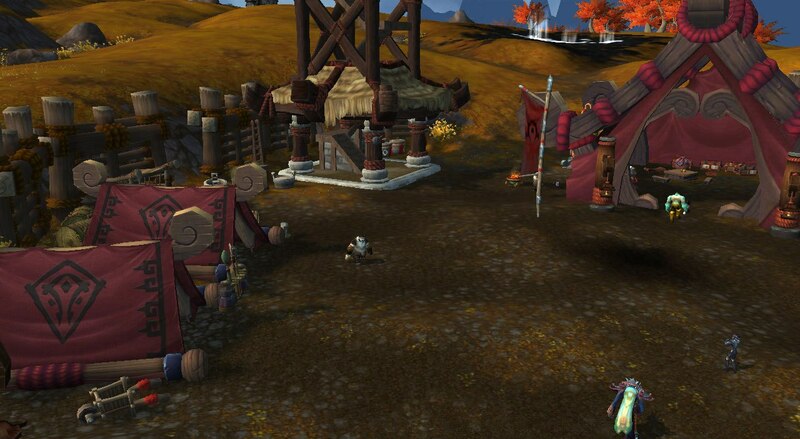 As the story got to the point where the Horde was backing a settlement, Mooglegem and I were really worried that the architecture was going to change to the iron and spikes look of the Horde. Luckily, that wasn’t the case. I think this looks great, keeping the architecture and the feel of the Pandaren culture while incorporating in the Horde. 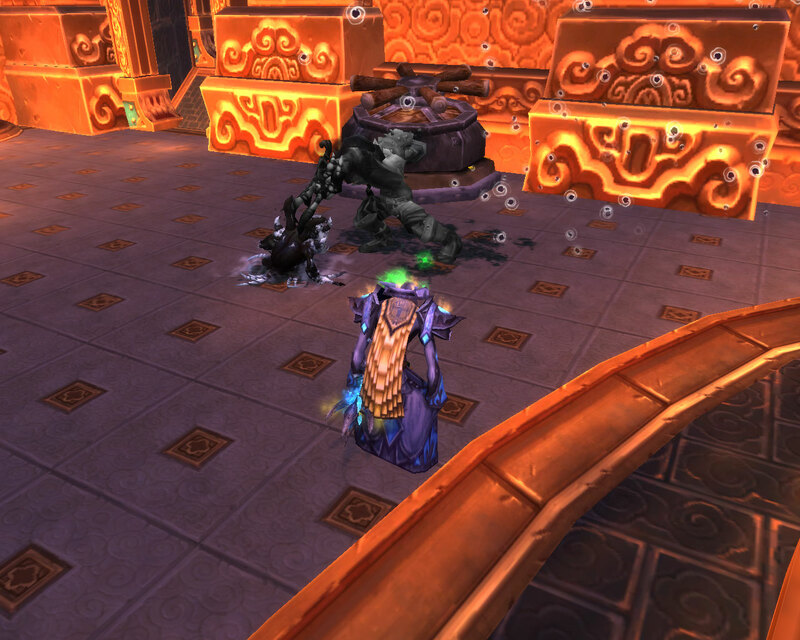 We ran into Korda Torros while questing and decided him to teach him a lesson. How dare he be a rare out in the world! Don’t worry; We dealt with him. 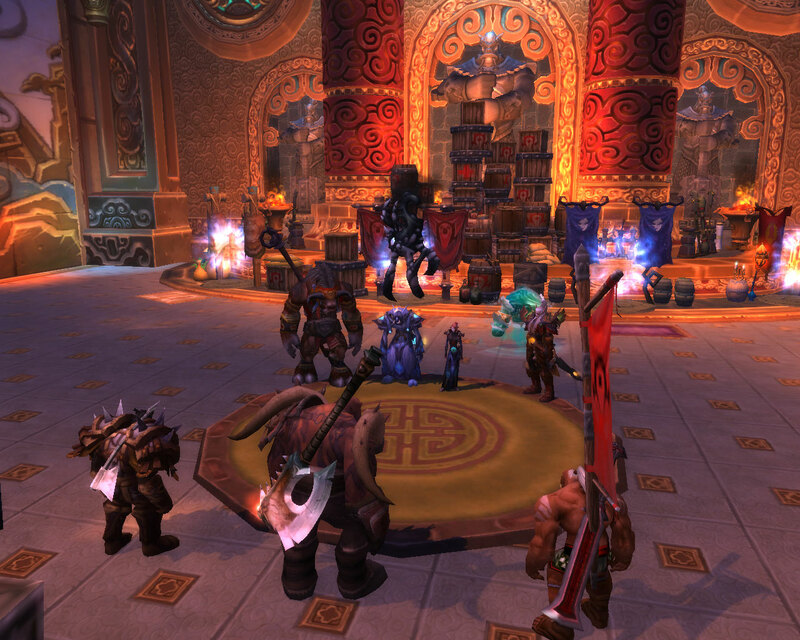 He wasn’t the only Pandaren Champion that we defeated either. 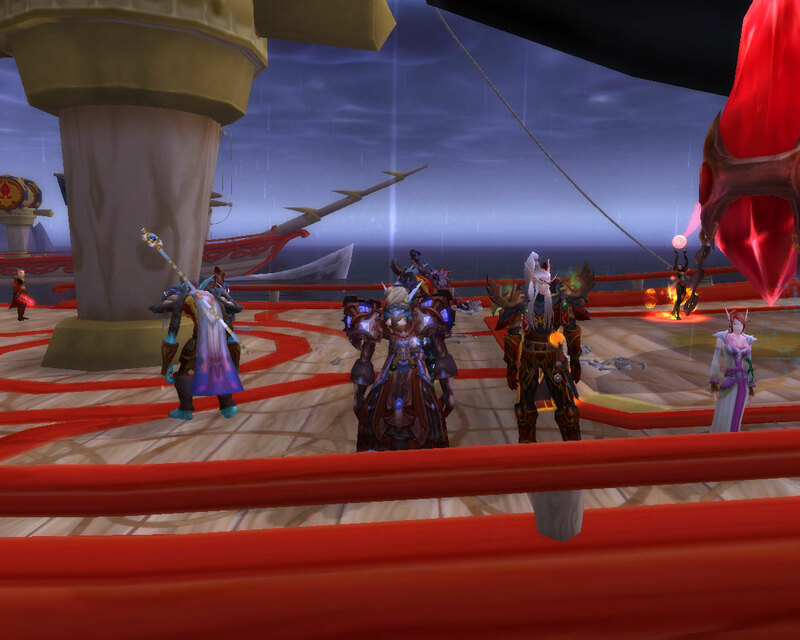 Here you’ll see us standing over Borginn Darkfist! 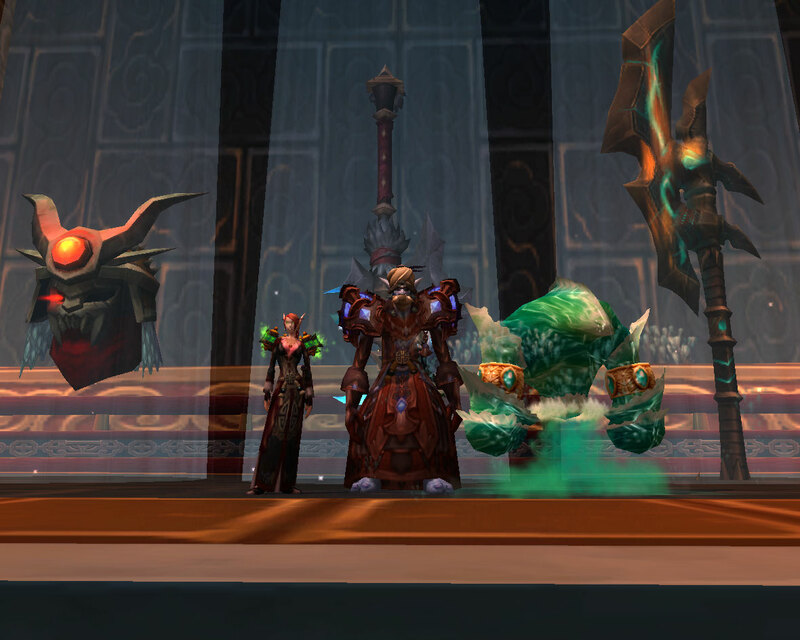 We ran into the world boss, the Sha of Hatred. 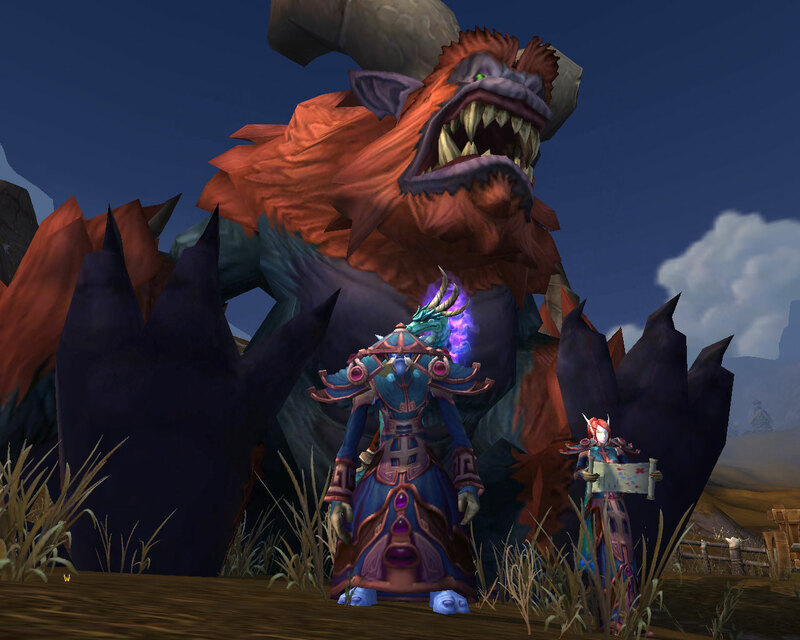 I love that world bosses are back, and I think he works very well in the story. I decided to see how close I could get to him after taking this screenshot. Yes, he killed me quickly. She looks aggressive but she’s a cutie. I also like the daily involving her; You get to control her and run around, smashing the tiny enemies. 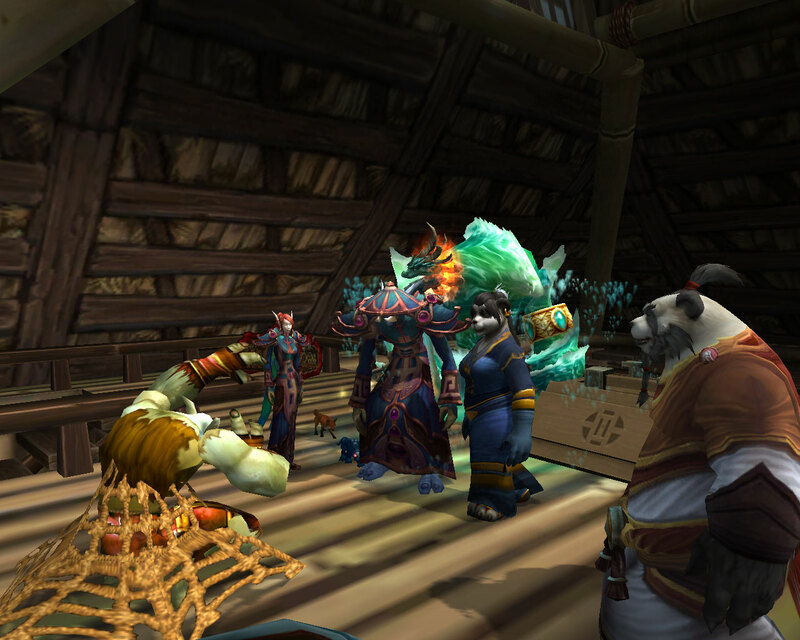 The Zandalar have been introduced into the Pandaren story now, and I enjoyed kicking their asses. 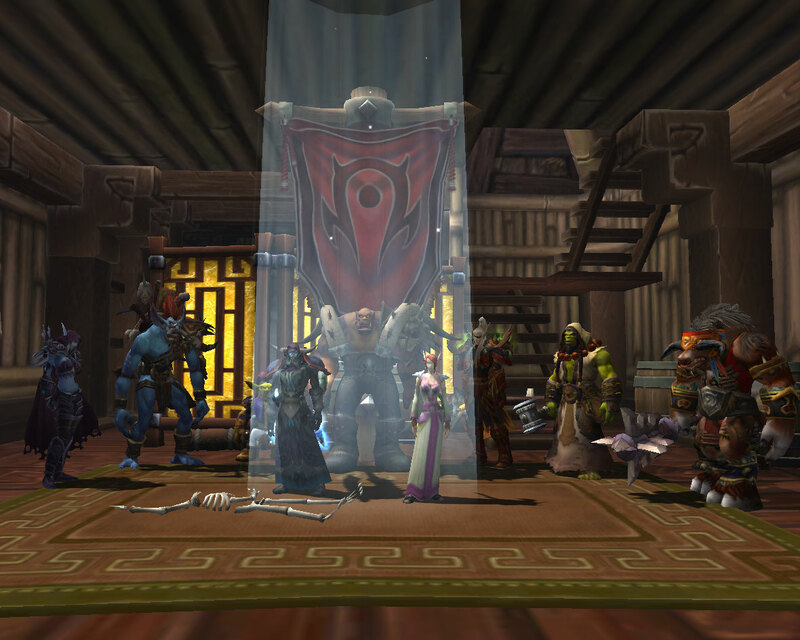 Their alliance with the Mogu is a cool story hook, and killing them was fun. 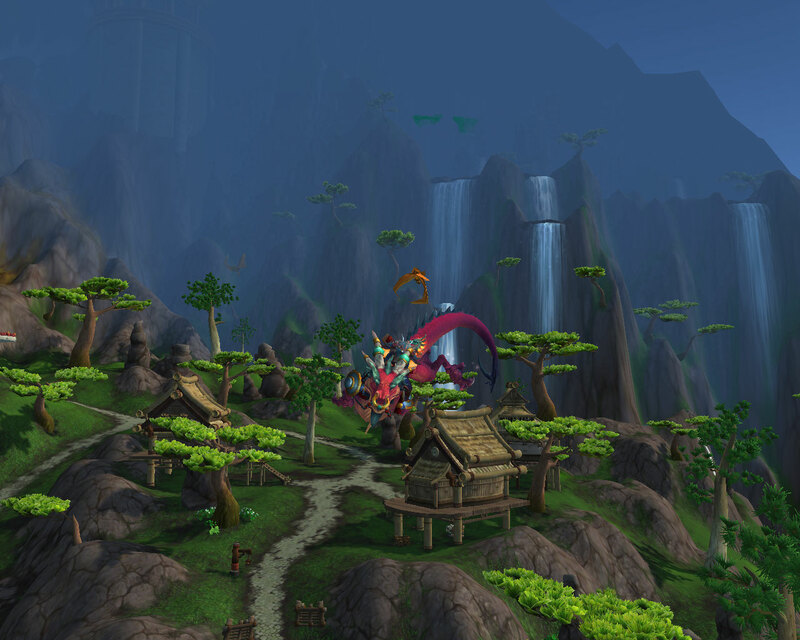 I can’t wait to see Zandalar Island. I had some trouble figuring out which gnoll was the real one. Look how similar they all look! Things like this really put the polish on this expansion. 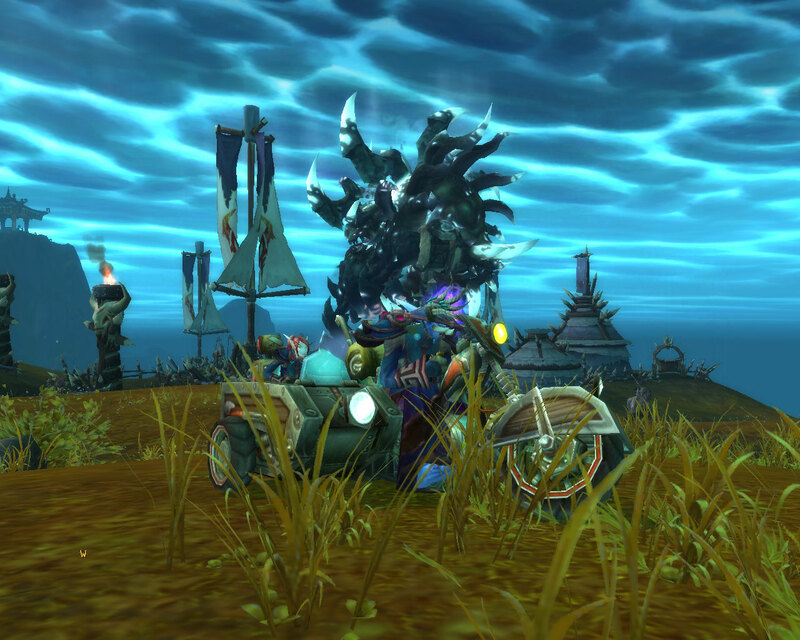 A Darkmoon Faire Bill of Sale? I wasn’t expecting that. Speaking of details, the funeral was a nice touch too. 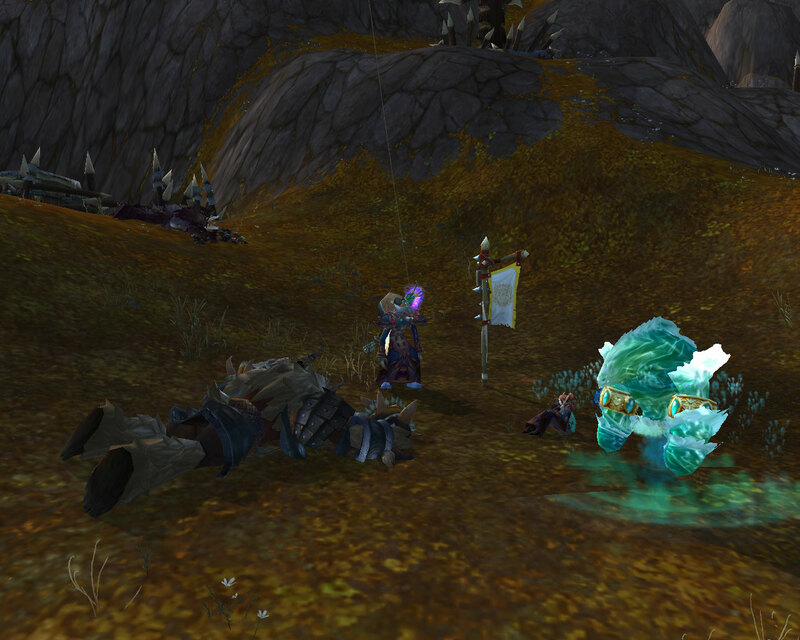 It’s also not the first NPC death we’ve had, although the one in Krasarang Wilds made me much more sad than this one. Here Mooglegem talks to Xuen, the White Tiger. She wanted him to let us in to the Vale of Eternal Blossoms! Luckily he agreed after talking to Anduin. Anduin has been a great character; I started to really love him in The Shattering, and he continued to be a terrific character in Jaina Proudmoore: Tides of War. Throughout the expansion so far, he’s been a great character who strives for peace and really seems to respect the Horde as well as the Alliance. 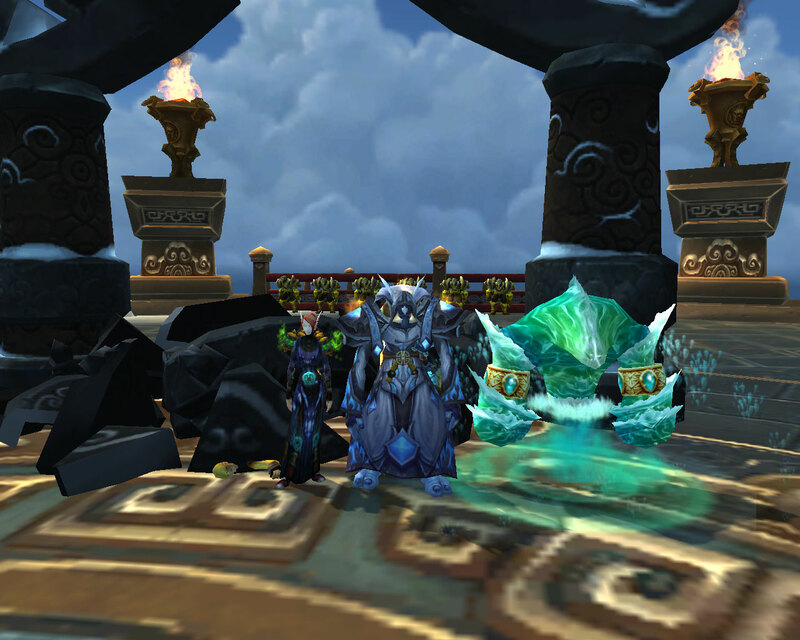 Xuen the White Tiger granted us access to the Vale of Eternal of Blossoms, ending our adventures through Kun-Lai Summit. Two zones left! 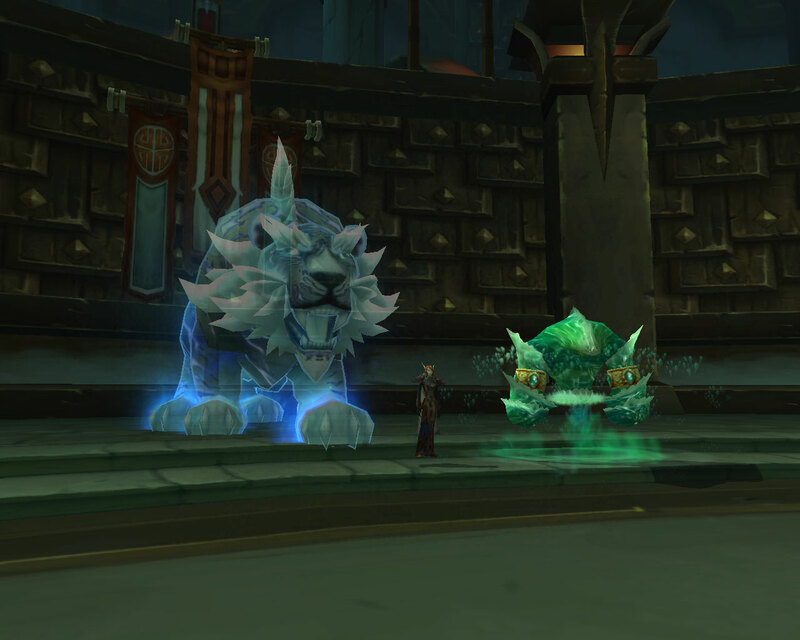 The other great news is that we now have the ilvl to run heroics! Mooglegem and I still plan only to run a dungeon once we reach it in the story, so we can’t yet do all the dungeons, but it’s nice that we can at least run the heroic versions of the ones we’ve reached.